This weekend I embarked on my maiden voyage to the "Swedish House of Deals." (That's a fancy way of saying I went to IKEA for the first time). This may be a regular occurence for some folks, but for me it was an "event." 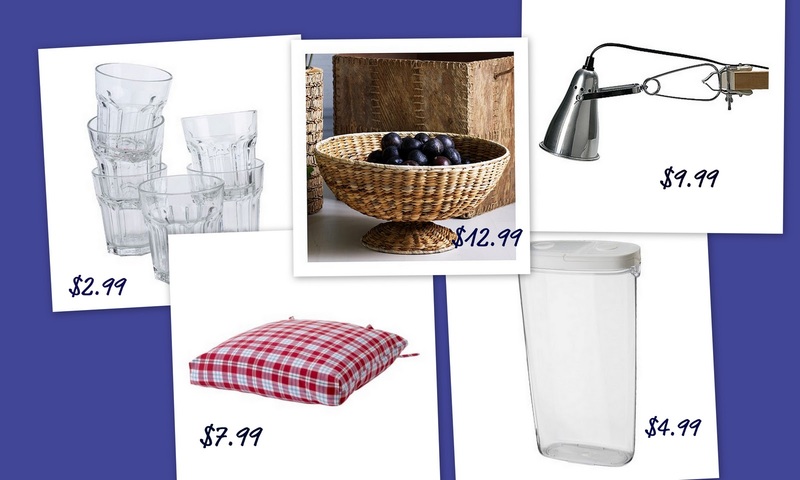 The nearest IKEA is more than 2 hours away, so shopping there calls for a roadtrip! It also means that since we're going ALL that way, it would only make sense to visit Ballard Designs, Frontgate and Grandin Road as well. Luckily, I had 5 fun friends who were up for the adventure (and a night away from kids!). On Saturday morning, my shopping companions piled into a minivan armed with coffee, overnight bags, wine, wallets, decorating ideas and dreams of great deals. And away they went. Unfortunately, I could not ride with them because I had to coach my son's basketball team. I'm sure they really missed having me with them, because I am an awesome backseat driver. Just ask my husband. After my team won (Go Seahawks! ), I hopped in my car and drove down there like a bat out of drove at 10 and 2, obeying all traffic laws until I met up with my friends at our destination. They were kind enough to have shopped at other outlet locations until I was able to join them. Word on the street is that IKEA is INSANE on Saturday, so we opted to shop at Ballard, Frontgate and GrandinRoad, and save IKEA for Sunday. After a great evening involving dinner, the movie, and the wine I mentioned earlier, we awoke ready to shop til we dropped. and our stomachs were grumbling. We ended our Swedish shopping excursion with true international flavor... Swedish meatballs... Yum! IKEA was a "great deal" of fun, and we got some great deals. I would definitely venture there again. Stay tuned for my next roadtrip to a completely different destination coming this Spring. It's been way to long since I visited Ikea you've made me want to go again soon. My nearest Ikea is about 90 minutes away. Well it sounds like you ladies had a great time.What could be better than shopping and good friends?